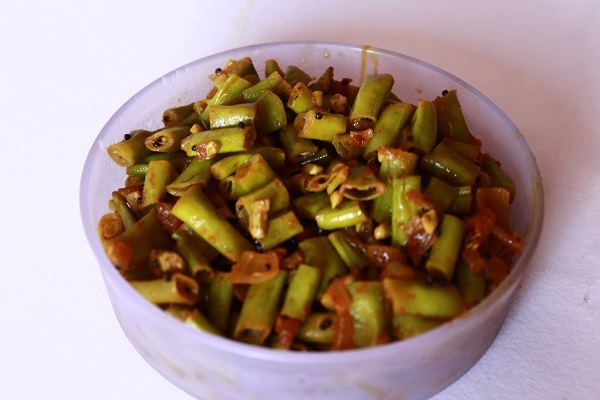 Achinga payar mezhukkupuratti / long beans stir fry is a very commonly made side dish for lunch. 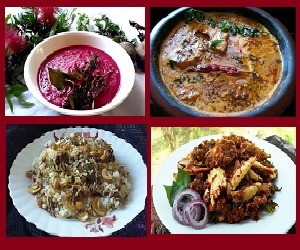 It is a very healthy and tasty side dish which can be easily prepared for lunch. 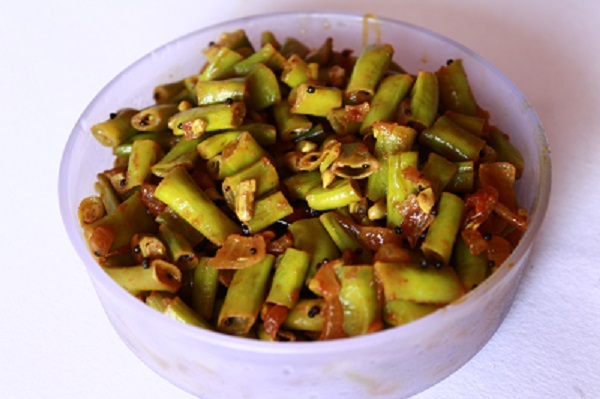 Achinga payar is a Malayalam word for long beans. Coming to the health benefits, long beans are low in fat content, is an excellent source of protein, fiber, folic acid and complex carbohydrates. The addition of coconut bits in this recipe is optional. Coconut bits give a crunchiness to the dish, but in our Palakkadan cooking, we don’t add coconut bits. If the beans you are using is mature or fibrous, then it is best practice to split it open and take the seeds out and cook along with the chopped payar. This will be more tastier. 1. 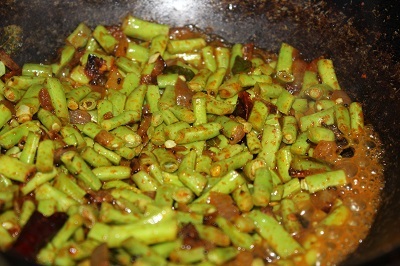 Wash and cut beans into 1/2 inch long pieces. 2. In a pan, heat oil. When oil is hot enough, add mustard seeds. 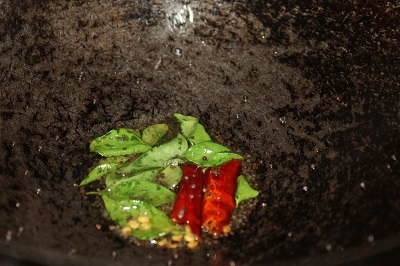 When it splutters, add dry red chilli (cut into half) and curry leaves and saute for a few seconds. 3. 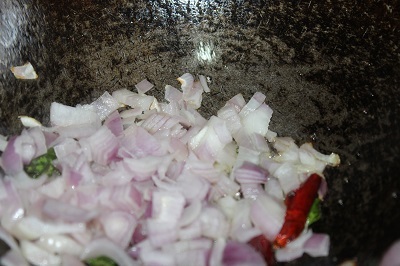 Next add finely chopped onion, green chilli, coconut bits and garlic. Saute till the raw smell of garlic goes off and the onion turns pinkish in color. 4. Now add turmeric powder, red chilli powder and saute well. 5. 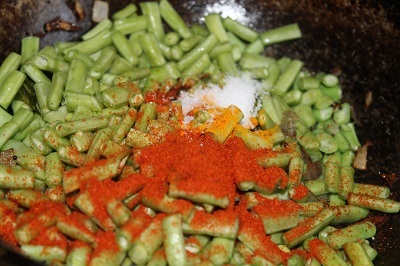 Add chopped beans, salt, mix well so that the entire masala gets coated well. 6. Add 1/4 cup of water, bring it to boil. 7. Once water starts boiling, reduce the flame to low, cover the pan with a lid and let it cook. Keep stirring in between to avoid sticking to the bottom. 8. Once cooked, you can fry it by adding more oil. If you find this post useful, I would be happy if you can share it with your friends in google+, facebook or twitter. All you have to do is click the corresponding button given below.